David Leitch (Atomic Blonde) directs this sequel about irreverent former mercenary-turned-mutant superhero Wade "Deadpool" Wilson (Ryan Reynolds), who this time around convenes a team of fellow mutants to protect a supernaturally-gifted young boy, Russell "Firefist" Collins (Julian Dennison), from the vengeful, time-traveling mutant Cable (Josh Brolin). 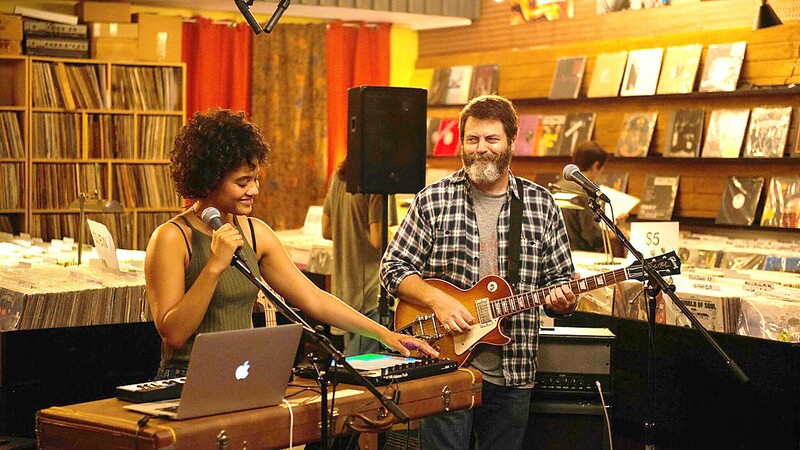 ENCORE In Hearts Beat Loud, a father (Nick Offerman) and his daughter (Kiersey Clemons) form a band the summer before she leaves for college. From Writer/Director Brad Bird (Ratatouille) comes the sequel Incredibles 2, 14 years after the original film premiered. Everyone's favorite family of superheroes is back in Incredibles 2—but this time Helen (voice of Holly Hunter) is in the spotlight, leaving Bob (voice of Craig T. Nelson) at home with Violet (voice of Sarah Vowell) and Dash (voice of Huck Milner) to navigate the day-to-day heroics of normal life. It's a tough transition for everyone, made tougher by the fact that the family is still unaware of baby Jack-Jack's emerging superpowers. When a new villain hatches a brilliant and dangerous plot, the family and Frozone (voice of Samuel L. Jackson) must find a way to work together again. It's been more than a decade since the Incredibles first burst onto the scene and delighted audiences with its unique nostalgia drenched take on what was then just an emerging powerhouse genre in contemporary cinema. That's more than a decade of Avenging, Dark Knightin', Deadpooling, and world-saving that the crime fighting family and the world missed out on during their absence. Hell, when the movie premiered Tobey Maguire was still Spiderman. Yes, there have been five Spiderman movies since the first Incredbles came out. I still have trouble believing that even though I just wrote it. Which is why I was all the more impressed with Bird's follow-up for his super-powered family. It should be commended how he and the animation team at Disney's Pixar managed to be true to the original without kowtowing to modern trends. 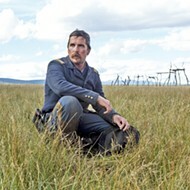 And while the film may be a shade darker than the first iteration, this new installment delivers on just about everything it promises and should leave families entertained until the next chapter arrives in theaters (which hopefully comes sooner than a decade and a half). The new super villain that the Incredibles (well, mainly Helen) are up against this time is the Screen Slaver, a nemesis who uses our enslavement to technology to hypnotize his victims using any screen around. In this state, the Screen Slaver can get anyone to do his evil bidding and they won't even remember it later. At the same time, the Screen Slaver is very anti-technology and thinks people are overly dependent on it at the expense of actually living life, which seems a bit ironic. I would have liked to have seen a deeper exploration of gender roles, but kind of get that doing so would have made the movie even longer (and at 118 minutes this one is asking a lot of its younger audiences, even with multiple action scenes and an endless array of power displays). The film is certainly not without its missteps, specifically in how it handles Frozone's wife, Honey (voice of Kimberly Adair Clark), who we only hear nagging her husband, we never see her. She really does just feel like a recycled gag from 2004's Incredibles. How hard would it have been to design a character and give her some meaningful screen time besides reducing her to some cheap foil for Jackson's Frozone to briefly interact with? RBG is a must-see documentary chronicling Supreme Court Justice Ruth Bader Ginsburg's improbable life and career, superbly highlighting her heroic litigation in the 1970s to overturn laws that discriminated by gender, her tenure on the Supreme Court that's been defined by her scathing dissents, and the ways in which she's inspired a new generation of women, becoming a cultural phenomenon at the ripe age of 85. Beyond those highlights, RBG offers a poignant portrayal of Ginsburg as a person, her reserved and steely yet sweet temperament, and her genuinely beautiful marriage. Filmmakers Betsy West and Julie Cohen really capture Ginsburg's humanity through interviews with her, her friends, and family members, which add a valuable layer of depth to the documentary. Ginsburg, a Brooklyn native, entered Harvard Law School in 1956 as one of nine women in a class of 500. She juggled her coursework with caring for both her baby and her husband, who had fallen ill with cancer (but ultimately survived). 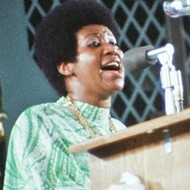 After graduating, she struggled to find law work as a female professional, despite being at the top of her class. Ginsburg eventually became a professor at Columbia University, where she pioneered a class on gender discrimination. In the '70s, Ginsburg argued a series of discrimination cases before the U.S. Supreme Court. 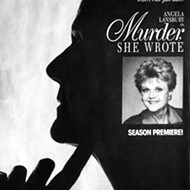 Here, West and Cohen manage to make what could have been a dry rundown of court cases compelling and dramatic. They tracked down the plaintiffs on these cases, who had faced gender-based discrimination ranging from unequal pay to unequal benefits as military service members. RBG weaves original audio from Ginsburg's oral arguments with commentary from Ginsburg and others to drive home the historical significance of those cases. Almost singlehandedly, Ginsburg changed the legal landscape for all women in the country. From Writer Stephen Karam (Speech & Debate) and director Michael Mayer VI (Flicka) comes the drama The Seagull, adapted from Anton Chekhov's classic 1896 Russian play that explores the obsessive nature of love, the tangled relationships between parents and children, and the transcendent value and psychic toll of art. One summer at a lakeside Russian estate, friends and family gather for a weekend in the countryside. Everyone quickly is caught up in passionately loving someone who loves somebody else. Chekhov's characters (and perhaps Chekhov himself) deeply confuse love and infatuation, and desire and selfishness. This is truly an ensemble film, which means there's a bevy of talent, but it's also confusing as to who our protagonist is. Without someone to root for, this tangled web of lover's woes can feel tiresome. First we have Konstantin (Billy Howle) and Nina (Saoirse Ronan), a young couple in love. He's an aspiring playwright and she's an aspiring actress. Just like in On Chesil Beach, Howle and Ronan are once more believably matched up as being hopelessly in love with one another for the first time. Then there's Irina (Annette Benning, The Kids Are All Right), an aging actress and critical mother to Konstantin, and her younger lover and successful writer Boris Trigorin (Corey Stoll, House of Cards). Rounding out the cast is the housekeeper, Polina (Mare Winningham, Philomena), and the doctor, Dorn (Jon Tenney, You Can Count On Me), who are having a secret affair. And Elizabeth Moss (The Handmaid's Tale) plays Masha, the daughter of Polina, who drinks excessively and wears all black and is "in mourning for her life," as she is desperately in love with Konstantin, who as you'll remember is hopelessly in love with Nina. As Konstantin struggles with his own writing, his envy for the success Boris has in his career turns into an insane jealously when Nona begins fan-girling hard for the famous older writer, who in turn looks upon the young country girl with the hungry look of a predator. You see where this is going. While almost all the characters and subplots are maddeningly frustrating at one point or another, Moss steals every scene that she's in as the somber, bitter, and achingly in love Masha. 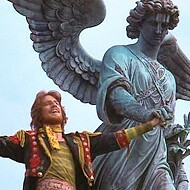 After a drink or two, she declares to Boris that she will simply rip the love she has for Konstantin out of her heart. When Boris asks how she'll do that, Masha replies, with a deadpan delivery, "I'll get married," bringing humor, sadness, and absurdity to a very real, heartfelt moment. Ron Howard (Splash, Cocoon, Backdraft, Apollo 13, A Beautiful Mind, The Da Vinci Code) directs this Han Solo (Alden Ehreneich) origin story, set long before the rebellion, which explores how the cocky pilot met both Chewbacca (Joonas Suotamo) and notorious gambler Lando Calrissian (Donald Glover). The film also stars Woody Harrelson as Tobias Beckett, a smuggler; Thandie Newton as Tobias' wife Val Beckett; Emilia Clarke as Qi'ra, Han's childhood friend; Paul Bettany as crime lord Dryden Vos; Jon Favreau as alien Rio Durant; and Linda Hunt as the voice of Lady Proxima. Solo started with two different directors who were fired over "creative differences" before Howard took over, so there's a somewhat disjointed and uneven artistic vision here, but that doesn't stop the film from being a lot of fun. We meet Han and Qi'ra living in a slum and dreaming of getting out. The opening set piece is a rousing chase and escape in which we see both Han's recklessness and bravado. Things don't quite go as planned, and Han ends up in the imperial army, where his wisecracking nature does him no favors, but that's also where he meets Tobias and Chewy, who team up for a big heist that leads to another big set piece, this one involving a cargo train. There's plenty of action, lots of one-liners, and showdowns between the good guys and the bad guys, not to mention some double crosses and surprises. In the same tradition of Episodes IV through VI, Solo offers up a classic space Western. It's not going to win any prizes for originality, but for Star Wars nerds, reverence for the series pays off here as we see the little bits of Han's backstory we've learned from the original films play out. I was wholly entertained. Frankly, I wasn't sure about Ehreneich as Han. I grew up watching Harrison Ford and I couldn't imagine anyone else in the role. 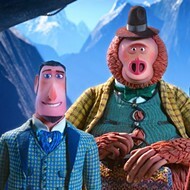 There is a passing resemblance between the young Ford and Ehreneich, but instead of doing an impersonation of Ford as Han, Ehreneich makes the character his own. Glover, on the other hand, seems intent on channeling Billy Dee Williams as Lando Calrissian, but he does it so well, it's a treat to watch. Glover's star is certainly shining brightly right now. He was great as the host of Saturday Night Live a few weeks ago, and his music video for "This is America" has people talking. These two characters are interesting enough and the actors have so much natural chemistry together that I would happily see another film with the pair. The story ends in a way that's begging for a sequel, and I'd love to see Lando and Han meet for another adventure. Solo is basically a popcorn movie—uncomplicated, emotionally one note, and with little more than entertainment in mind. It's not the kind of film that sticks with you or challenges viewers in any way, but if you're looking for an engaging space romp, I think Solo delivers. Be warned, however; it's one of those rare films with a higher rottentomatoes.com critic rating (71 percent) than audience score (59 percent), so not everyone has liked the film as much a I have. 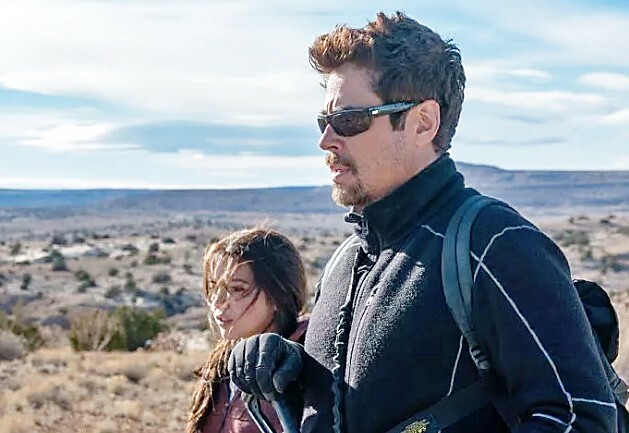 HOSTAGE In Sicario: Day of the Soldado, a kingpin's daughter becomes a bargaining chip in the midst of the drug war. 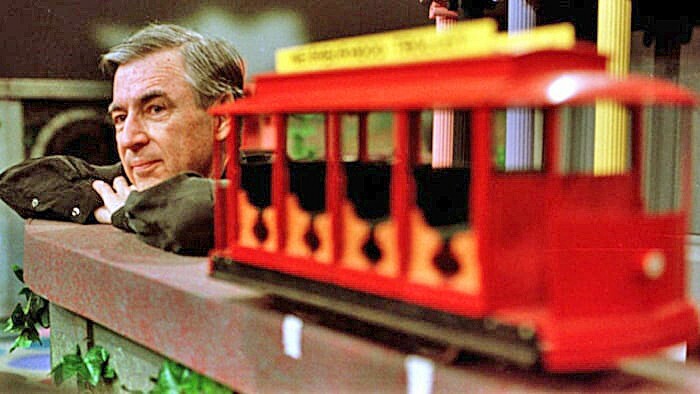 MAKE BELIEVE Documentary filmmakers explore the man behind the popular children's television show Mister Roger's Neighborhood in the movie Won't You Be My Neighbor?